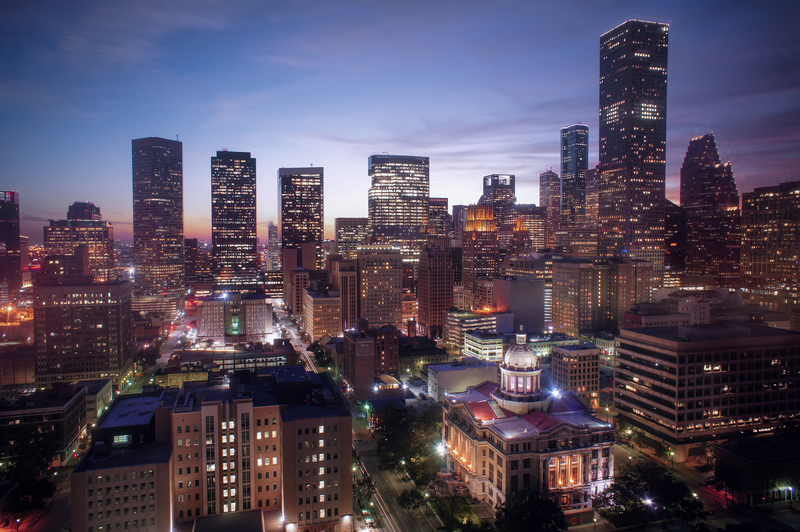 There’s no question that Houston is a city for dining aficionados. The diversity of flavors, the accessibility of fresh produce and the impeccable hospitality of its people are all important factors in the mix. Add in the hip energy of Midtown, and you’ve got a recipe for a seriously fun night out. Read on to see which restaurants we consider to be the best in Midtown, Houston. Oporto is an impressive restaurant to take a date, visiting family member or business connection. It’s modern and elegant, with a striking intimate setting that may not require dressing up, but may inspire you to. There are not many Portuguese restaurants in Houston, so the food here will be a welcome surprise. Flavors of octopus, prosciutto, olives and freshly baked bread predominate the menu. Dishes are small and served for sharing, which is great for when you bring a group of friends and want to try everything on the menu. The bar is equally innovative, with refreshing sangria and caipirinhas, as well as mixed drinks made with Portuguese wines. The Breakfast Klub is a classic Houston breakfast restaurant, so popular that you’ll have to arrive early to secure a place. The food, comprised mostly of Southern favorites, is cooked to perfection. The chicken and waffles are legendary, the potatoes are second to none, and the grits may even bring back childhood memories. They have daily lunch specials, with Fridays offering a delicious crayfish fettuccine. The space is open and simple, like a cafe. Check out their website for merchandise, their premium coffee blend and pancake mix. Drop the supermarket ramen package and step away from the microwave, head over to JINYA instead. This ramen bar, with two Houston locations, is guaranteed to keep you coming back. With an ever-changing list of 20+ toppings, you’ll never get bored either. Pay a little extra to get a side of rice, curry or seaweed salad. The ramen broth is tasty and won’t leave you feeling heavy, while the green tea ice cream is flavorsome but not overly sweet. Their own brand of sake will make sure your visit ends on a high note. This food and wine bar is energizing, airy and stylish. Spanish heritage meets Texas with delicious seafood and decadent desserts. The grilled chicken breast salad with beets and avocado is a definite knockout, while patrons keep coming back for the Nutella brownie. Truffle and olive oils enhance almost everything on the menu. The lamb shank is braised for six hours to assure tenderness. Wine is affordable, too. We recommend you ask what’s fresh today, as fish availability changes and inspires the chef’s creations daily. Tacos a Go-Go is a quirky place to grab a quick taco before or after a few drinks. The décor is as kitschy-cool as it is traditional, with Mexican luchadores, Catrinas and virgencitas sharing space on the walls. Authentic Mexican taco, burrito and tamale recipes amaze the taste buds, while the fresh salsas will have you raving. They’re open early for the breakfast crowd, most of who go for the potato, egg and cheese or the chorizo, egg and cheese tacos. Order sangria, mimosas or bloody Marys by the pitcher for the most value, or try their Mexican hot chocolate on a cold day. This old-fashioned Italian pizzeria will have you forgetting big-brand pizza faster than you can say ‘delivery.’ They bake the best pizza in town, from scratch, using the freshest ingredients and a lot of family pride. Garlicky breadsticks, hot sandwiches, crispy calzones and traditional Italian desserts round out the menu, which is perfect for the whole family. Children will be particularly fond of the salt caramel gelato, while adults will appreciate the mascarpone desserts. Gyu Kaku is a Japanese restaurant in the yakiniku style, which means diners grill their meat of choice. This specific restaurant is good for groups because of the casual atmosphere and dynamic dining experience. It’s also good for a quick lunch, with affordable specials all week long. The Akaushi Kobe Style Beef lunch set includes a bowl of rice, a bowl of miso soup, a salad and Texas raised beef. Happy hour happens every day from 11:00 am to 6:00 pm. Want to have elk, pheasant and turtle all in one sitting? Stop by Brennan’s on Smith St. This restaurant, which has been a Houston institution since 1967, prides itself on offering scrumptious Texas creole food and the most sincere Southern hospitality. It’s a sophisticated choice for special events and celebrations like birthdays, anniversaries and family dinners, as they have eight different spaces that can be reserved for these occasions. Brunch, which takes place Saturdays and Sundays, is great for those looking to try many of their dishes. Everything from the crab cakes to the crab stuffed flounder is delightful. Another great brunch spot, Cook & Collins is a cool New American restaurant in Midtown. The menu features many classic foods revamped, like the delicious mac & cheese crab rolls, or the sweet potato ravioli. Their sandwiches, flatbreads and burgers are filling, and they have many vegetarian options, such as the quinoa burger with Parmesan dip and truffle mayo. The bar has craft beer on tap and original drinks, including coffee cocktails. Patrons get excited about the red eye fries (buffalo chili, hot sauce, egg and cheese over fries) and the breakfast burrito. The outside patio is good for groups, too. Artisans Restaurant is a higher end selection for romantic evenings. The kitchen is open, which allows diners to sit at a wraparound bar and see the chefs in action. Interacting with the staff is encouraged, particularly when it comes to recommendations. The beef filet and foie gras are standout dishes. Executive Chef Jacques Fox is also a Houston institution. He’s overseen the food and beverage program at the Conrad N. Hilton College for Restaurant and Hotel Management at the University of Houston, while the restaurant has donated over $45,000 to the Houston Food Bank.